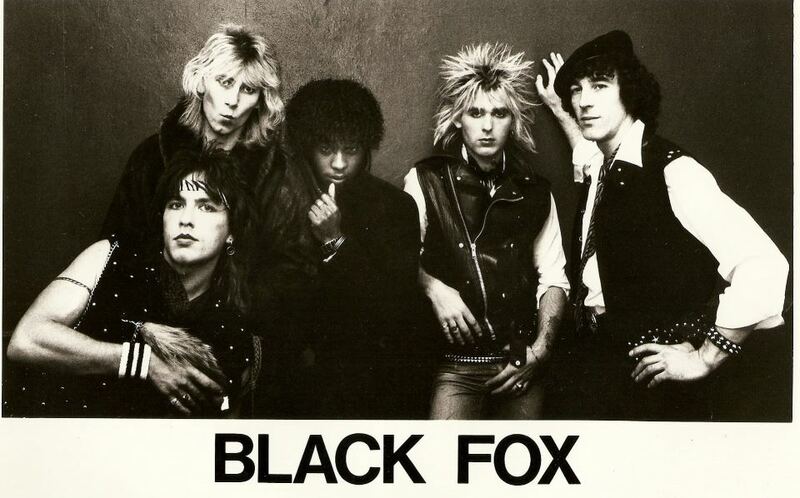 While David Nichol, Gnivil and Gary were teaming up with Mark and Tony in BLACK FOX (see below) Terry Stevens was hitting the big time with his band YA YA touring far flung places like Japan, Thailand and Russia. An early eighties ensemble of rockers fronted by Tony Forsythe (aka Black Fox) vocals, bass guitar, David (JD Zirconium) Nichol, guitar vocals, Mark, guitar, vocals, Gnivil Moor, Keyboards & Gary Burfield, Drums, vocals. Occasional live gigs included Dingwalls - Camden Lock, The Rock Garden - Covent Garden and Le Chateux - Kentish Town. Whilst together they played; Dear Lord, On my Mind and Stop. Way back in '77 a bunch of innocent young lads got together and formed VHF. The line up consisted of Bill Balfour on vocals and guitar, Johnny 'the hat' Bloom on Bass, Gnivil Moor - keyboards and Ernest Fawcett on Drums. The 3 following tracks were mainly written by Bill with contributions from Gnivil and Ernest, and made up their first 'demo tape' on the back of which, they secured a few gigs and a residency in a pub (now a hamburger restaurant) on the Tottenham Court Road next to the Dominion Theatre. Liz, (Bill's sister) joined the line up, Terry had left to carve a brilliant career with Ya Ya that took him all over the world so FR Barry took his place on bass and for a short time the line-up experimented with the name PRYZMIX. This line up benefited greatly from the composing and singing contributions from Liz & Bill and David.